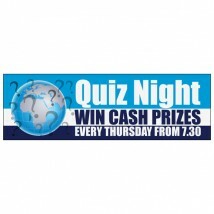 Need a pub quiz banner fast? 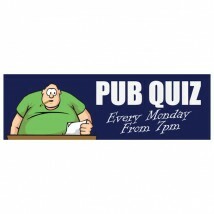 Choose a Pub Quiz banner from one of the designs below. Then personalise it. Change times dates and even colours using a simple fast free online banner design tool. When your finished simply add the banner to you basket and your done. 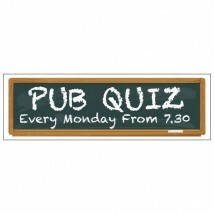 Our customisable pub quiz banners are available in two popular sizes 8’ x 2’ and 10’ x 3’. They are printed in high resolution onto a heavy duty weatherproof reinforced PVC with hemmed edges and eyelet for hanging. 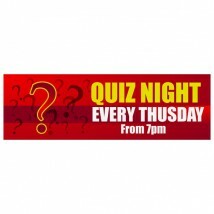 If you don’t see what you want we can design a bespoke banner for you. Check out our banner design service to see how our team of experts can bring your ideas to life.